Management is the art of getting things done by a group of people with the effective utilisation of available resources. An individual cannot be treated as a managing body running any organisation . A minimum two persons are essential to form a management. These persons perform the functions in order to achieve the objective of an organization. · First Management or operating Management level/-More technical skills are required eg. ward sisters .managers & administrators belongs to these three category requires three skills ; Intellectual skill, human skill , Technical Skill. The Thinking skill-both critical and analytical. Conceptual skill-ability to formulate concepts. Human skills are the skills concerned with effective communication, empathy, understanding , building a harmonious interpersonal relationship, developing the potentials of each member of the organization according to individual capabilities, and moving with objectives. Technical skills are concerned with dexterity, Professional skills and expertise. clinical examination of patents, Bio-chemical examinations, administration of injection etc. are the examples of technical skills. Nature of management as a science , an art and as a profession. Management as a science-development of management as a science is of recent origin, ever though its practice is ages old. Fredric w. Taylor was the first manager-theorist who made significant contributions to the development of management as a science. He used the scientific method of analysis, observation, as he was, he distilled certain fundamental principles and profound the theory and principles of scientific management .His work was followed by many others including Gant, Emerson, Fayol, Barnard etc. Management as an art-Just as an engineer uses the science of engineering while building a bridge, a manager uses the knowledge of management theory while performing his managerial functions. Engineering is a science; its application to the solution of practical problems is an art. Similarly, management as a body of knowledge & a discipline is a science; its application to the solution of organizational problems is an art. The practice of management ,like the practice of medicine, is firmly grounded in an identifiable body of concepts, theories and practice eg. A medical practitioner does not base his diagnosis and prescription on the science of medicine, endangers the life of his patients. Management as profession-we often hear professionalism of management in our country. By a professional manager, We generally mean a manager who undertakes management as a carrier and is not interested in acquiring ownership the question is management a profession in the true sense of word? or is management a profession like medicine ,Nursing, law. According to McFarland a profession possesses the following characteristics-a body of principles, techniques, skills, & specialized knowledge, Formalised method of acquiring and experience , the establishment of a representative organization with professional as its goal, the formulation of ethical codes for the guidance of conduct, the charging of fees based on the nature of services. Management is a profession to the extent it fulfills the above criteria .it is a profession in the sense that there is a systematized body of management &it is a distinct , identifiable discipline. Management is a purposeful activity. Management is a distinct entity. Management is a getting things done. Management as a class or a team. Management is needed at all levels. Usually the actions of manager Planning, organizing , directing, co-ordinating, and controlling are referred to in the management literature as the functions of the management process. Scolars in the field of management have their own functions of management .Some scolars add few functions and some delete some other functions .The important functions of Management. Professor Luther Gullick (1937)- summed up certain principles or elements OR functions in the word “POSDCORB”. “P” stands for planning that is working out a broad out line. “O” stands for organizing. This is the establishment of the formal structure of authority through which work of subdivisions are arranged, defined & co-ordinated for the defined objectives. “S” stands for staffing. That is the whole personnel function of bringing in & training the staff & maintaining favorable conditions of work. “D” stands for directing, that is the continuous task of making decision & embodying them, in specific & general orders & instructions & serving as leader of the enterprise. “CO” stands for co-ordinating. That is all important duty of interrelating the various parts of the work & eliminating of overlapping & conflict. “R” stands for reporting. That is keeping those to whom the executive is responsible informed as to what is going on, which thus includes keeping himself & his subordinates informed through records, research & inspection. Division of work-It applies to all kind of work, managerial as well as technical .tis is the principle of specialisation. Authority, responsibility & accountability-Fayol held that authority flows from responsibility. Discipline-memebers of the organization are required to perform their function and conduct themselves inrelation to others according to rules, norms, and customs. Unity of command-This principle holds that one employee should have only one boss 7 receive instructions from same only. Subordination of individual interest to organizational interest-The interest of the organization is above the interests of the individual & the group. eg.It can be achieved only when managers in high position in the organization set an example of honesty, integrity, fairness and justice. Remuneration of personnel-Employees should paid fairly and equitably. and according to job differentiation. Scalar chain of command-Fayol explains as superiors & subordinates running throughout the organization from top to bottom. Order-Means right person on the right job and everything in its proper place. Equity-It means that subordinates should be treated with justice and kindliness. Stability of tenure of personnel-The managerial policies should provide a sense of reasonable job security. Initiative-It focuses on the ability , attitude and resourcefulness to act without prompting from others. 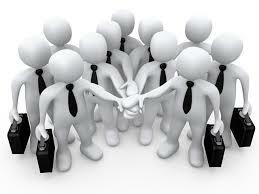 Managers should create an environment which encourages their subordinates to take initiative and responsibility. Esprit de corps-cohesiveness and team spirit should be encouraged among employees. Management implements the policy and achieve the objectives. Directly involves in the execution of plan and achieving objectives. Requires technical ability more than administration ability. Management is a creative process which integrate and uses various available resources effectively to accomplish certain goals.For which ,an individual is responsible to develop ideas and get things done through others . Manager is not actually do the work but guide others to do things correctly. eg;-manager has not built factory uses or install machines & operate them or sell goods in the market. Primary job of a manager the management of people.